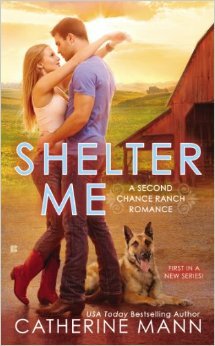 Receive an autographed copy of SHELTER ME, mailed directly to you! Order multiple copies! In addition to personalizing a copy to you, I can autograph a copy for friends and loved ones. Autographed books make the perfect gift. For orders outside the US, adjust mailing rates accordingly. All currency must be in US dollars. If you would like it personalized, include a note with the wording you prefer. Or if you’re buying extra copies as a gift to friends or loved ones, please enclose instructions. Or use the PayPal form and link below. If PayPal errors occur (eek!) please e-mail me at CatherineMannAuthor@gmail.com and I will do my best to resolve the issue ASAP! Orders must be received by Friday, August 1, 2014. Books will be mailed on release week on August 6, 2014. Priority mailing usually takes 2-3 business days, provided the Pony Express is running on schedule. Allow reasonable time for overseas shipping.